This seems to be poor management again. Is it deliberate incompetence? Perhaps officers should be personally liable for the results of ongoing neglect of this important building. Sad to see the reopening date keeps going back (now April/May). It’s as though any excuse (now flaking paint) to delay opening. 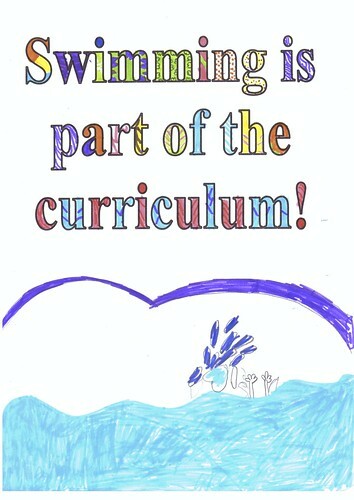 Councillor Kennedy asks does the pool sit as a sport or heritage site – I say it must sit as both. Keep up the pressure on them. This building must not be allowed to close as a pool. Labour Councillors want us to believe that lead paint was being used in 2004? They must think we’re mugs! 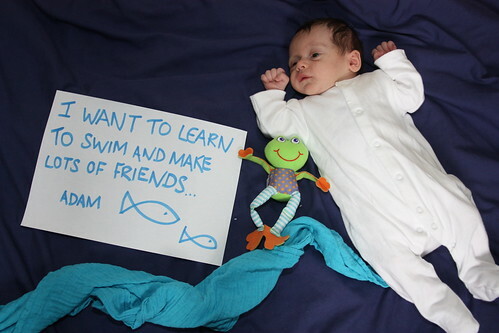 Anyone fancy a sweepstake on next excuse for not opening the Moseley Rd baths. My moneys on a blown light bulb in reception. Hmm, did they confirm which year? Let’s hope it’s 2012. This family needs to swim. 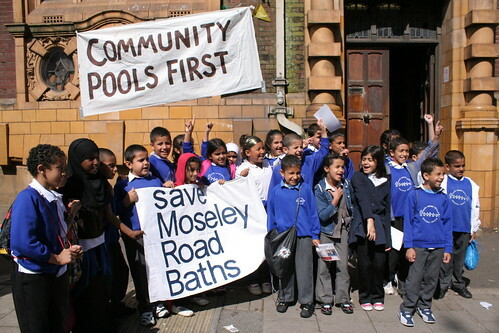 Thanks also to Moseley Shoals who sent us an e-mail outlining the impact the closure has had on their swimming club, making it nigh on impossible to swim as a club. 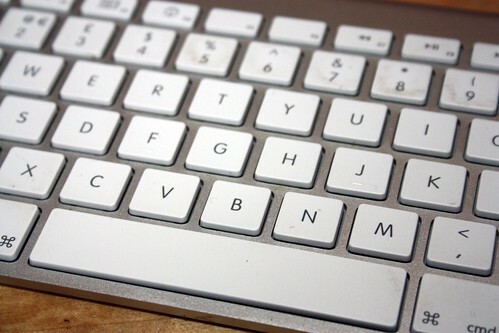 Of course, using this blog is nowhere near as effective as the public contacting the press and Councillors directly – follow this link for details of Councillors. Hall Green Constituency Councillors will be voting on the options in March, so please address e-mails to them. Cllr Tony Kennedy chairs the group and Cllr Martin Mullaney is the current Cabinet Member for Leisure, Sport and Culture. The final phase of re-opening the baths began on Monday 16th January with contractors moving into the basement to begin work. They will be replacing temporary scaffolding that holds up the floor in numerous places, with permanent scaffolding. This work will take four to five weeks to complete and we are hoping that the baths should be able to re-open at the end of February. What has confused the issue and the reason for the sudden announcement that the baths won’t re-open until April or May, is concern over flaking paint from the ceiling in Pool 2. Users of this pool prior to its closure in December 2010, will have noticed the flaking paint even then. It was particularly bad on the lower sections of the curved ceiling, on the right hand side as you entered the pool (see the photo here). The pool was last painted in 2003 and the flaking paint was due to the very high humidity in the pool area, which was caused by the staff not turning on the mechanical ventilation fans whilst people were in the pool. The staff wouldn’t turn the fans on, because they were very noisy due to worn bearings. The bearings have now been replaced and hopefully such rapid flaking of the paint will not happen again. 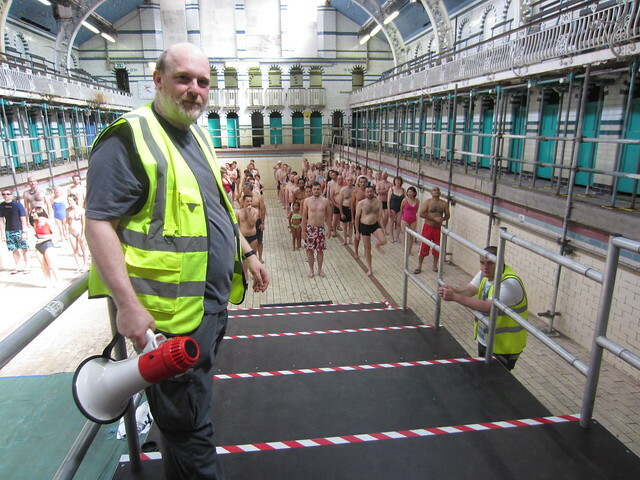 Since the closure of the pool in December 2010 and the resulting dryer atmosphere, the paint flaking has accelerated to such an extent that officers in Hall Green constituency are concerned that flakes may fall into swimmers eyes. The staff in the pool have removed most of the flaking paint, but some still exists in the harder to reach parts of the ceiling. To completely repaint the ceiling would cost £65,000 and take over six weeks to complete, thus taking the re-opening up until April or May. We have £80,000 ‘sticking plaster’ money which could fund this re-painting, however I would rather focus this money on fixing the roof of leaks – especially after all the recent lead thefts – and keep this building going until its big restoration in 2014. Mindful that the pool has been closed for over a year and being quite familiar with the level of flaking, I have disputed the need to repaint the entire ceiling. As a result, I attended a meeting this morning with a Health and Safety officer to decide if the flaking paint was a concern. The officer said that the level of flaking is not of concern. re-opening of the pool at the end of February. Cllr. Mullaney’s website also carries a report of Tuesday’s Hall Green Constituency meeting. And here’s a report from the Birmingham Post.